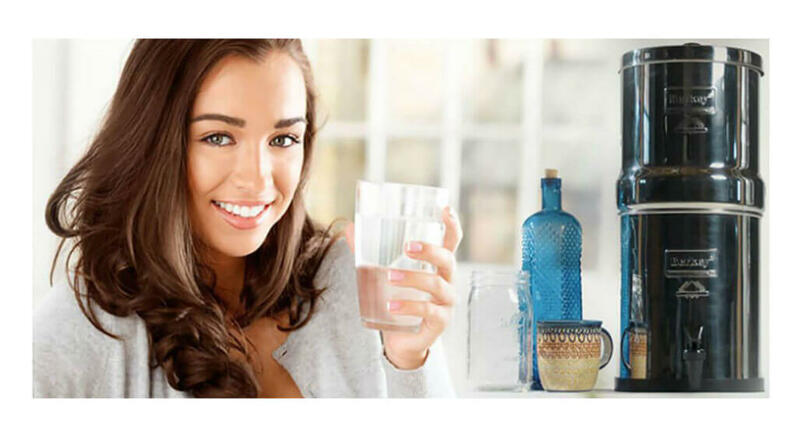 The Big Berkey Water Filters are a affordable way to filter water at home. They’re perfect for everyday use and come in sizes that will fit any family size. The black berkey filter elements that come standard in this system purify both treated water and untreated raw water from such sources as remote lakes, streams, stagnant ponds and water supplies in foreign countries, where regulations may be substandard at best. This Berkey Water Filter is the most popular system and is perfect for everyday home kitchen use, outdoor activities, and a must in hostile environments where electricity, water pressure, or treated water may not be available. The Big Berkey system is constructed of highly polished 304 stainless steel and comes complete with 2 Black Berkey purification elements (expandable to 4), 2 chambers, lid, a spigot, rubber gasket base, and 2 blocking plugs. Up to 4 PF-2 Fluoride and Arsenic filters can be installed into the lower chamber. This system removes pathogenic bacteria, viruses, cysts and parasites entirely and extracts harmful chemicals such as herbicides, pesticides, VOCs, organic solvents, radon 222 and trihalomethanes. It also reduces nitrates, nitrites and heavy metals such as lead and mercury. This system is so powerful it can remove food coloring from water without removing the beneficial minerals your body needs. Virtually no other system can duplicate this performance.